In the light of George Kiloh’s letter, may I submit my application to be a member of the grumpy old men’s club which exists to challenge the profligate spending of Battle Town Council? Just take a look at the Council Tax bill which dropped through your letter box recently. County Council element up by 3 per cent; Rother District Council by 2.9 per cent and Battle Town Council up by nearly 7 per cent. 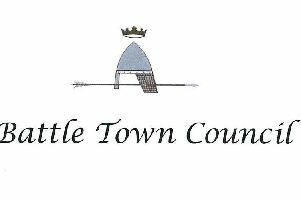 This may not seem a great deal but, on top of other increases in recent years including a staggering 35 per cent in 2017-18, the Town Council element has virtually doubled since 2012. It is reasonable to acknowledge that, with a smaller budget than County and District Councils, the Town Council has less flexibility. All the more reason therefore to ensure that every penny is spent wisely and for the benefit of the community as a whole. We all want the street lights to work and the cemetery to be well maintained. Allotment holders have the satisfaction and enjoyment of producing home grown food and the recreation ground provides an open space which can be used safely by young and old alike. The Town Council plays an important part in all these activities and others, and through our taxes we make the necessary and appropriate contribution. Beyond this, however, we have to ask why the Town Council feels it has a responsibility to provide a café at the recreation ground, a wedding venue or to redevelop the Almonry. The estimated cost of that redevelopment has been put at £600,000 to be covered by a loan costing over £1m to repay. Is this what George is referring to when he mentions “small and useful improvements” ? The council’s recent newsletter tells us that the result will be a community hub and George’s letter suggests that there will be benefit to the council’s budget, presumably by generating additional income. Has anyone seen the business plan to confirm this? In another context the council chairman recently claimed that the project would help turn around the fortunes of the High Street. Really! So far as the concept of a community hub is concerned may I point out that in April 1960 the Battle Memorial Hall was opened for the specific purpose of creating a meeting place for the community. It now provides this service with great success and at no cost to the taxpayer. Why do we therefore need another community hub at great expense?